Have you ever thought that those hours spent playing Football Manager turning Shrewsbury Town into Europa League winners have been a complete waste of time? Well then meet Vugar Huseynzade. At 22-years-old he is boss of Azerbaijani side FC Baku, is the youngest manager in the world, and got to where he is today off the back of just nine years’ experience playing management simulation games. It really is the acid test that football has been waiting for. This isn’t the first sport to embrace the talent provided by simulation gamers and wouldn’t be the first fair success. Nissan have been running a GT academy in collaboration with Sony in regards to the Playstation’s Gran Turismo series, and since 2008 has produced a competent crop of real life racing drivers who have driven in prestigious events such as Le Mans. But due to the nature of football and its team ethics that no simulation game can replicate, finding a star from behind a computer screen is a huge task – is it even possible? The early signs suggest so. Huseynzade was 21 when he was appointed Baku boss in November and it is fair to say has made an encouraging start after being thrown in the deep end with the club struggling near the foot of the top flight table. The appointment came after less than a year working at the club in a non-football related capacity and despite his non-existent experience, famously pipped former France international Jean-Pierre Papin to the role. Huseynzade was born in Azerbaijan but at a very young age moved to Sweden where he holds citizenship. Speaking to him there is an element of calmness to his words, albeit a studious one. It’s been a manic last two years for the Swede since getting into contact with the club in 2011. While he freely admits to initially struggling with having to deal with real lives in a real dressing room, Huseynzade does claim that playing Football Manager has laid down foundations for him to at least learn from. He told Sportsmail: ‘I met with the president in Lithuania we had a short speech. He made a pragmatic joke I should contact him when I’m done with my education to manage for them in the future. ‘That’s how it happened, first I was not quite keen. I was working with the club from 2011 and at first I had nothing to do with the football, then when he saw the passion I had, he offered me to be the manager. ‘They offered a higher position for Papin, a role where he would manage all of the club like the young academy too. It would have been like a Director Of Football. I only have responsibility over the first team. ‘I had a very good relationship with the coach and he was helping me out with some issues like explaining how the football players are in real life. I have never met any players especially many at the same time. ‘We had communication problems at the beginning because I didn’t know how football players are. Now I know that every player has their own personality. The staff have to make the players happy, not the players making the staff. ‘I wouldn’t say the game helped me prepare for this job but I would say the game helped me a lot to understand the details and responsibilities, but it’s far away from reality. After inevitably drifting back into the subject of computer games again, Huseynzade knows that at this stage of his career he is constantly learning. He is driven by his job, one that has seen him voluntary stay at the club’s headquarters which includes a hotel. The commitment and passion is in him and it’s something that he has managed to relay back to his team who he states now shares a mutual respect with – not easy given the vulnerability of his relatively very young age of authority. Typically, the 22-year-old is quick to praise those who have helped him – namely head coach Bozidar Bandovic who has been a great asset in showing him the ropes. Huseynzade added: ‘I’ve been in charge for six months but I am still learning. Jose Mourinho said in the interview that he has been in football all these years and he says he is still learning – so imagine how I feel. ‘There is respect with the players. They show respect to me and I show respect back. The biggest thing I am very happy about in my job that I have done is make everybody to be together. We had problems in that some nationalities would only mix with their own. ‘This is what I have tried to do and I have succeeded. I made the group be together all the time by taking them out. We go to movies, we go to restaurants. We like to have fun. ‘At FC Baku it’s real people, real feelings and real emotions. I would never have expected that after the game you go to the changing room and there would be so much emotions but I have seen it. It would be easy to judge Huseynzade based on a national league that has never had a team even reach the Champions League group stages, but managers with bag loads more experience have struggled. 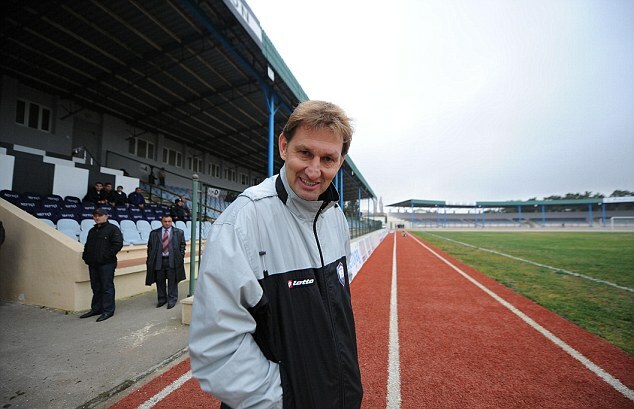 Arsenal legend Tony Adams took over Gabala in 2010 but lasted just over a year before departing his post. In fact, Huseynzade has already taken on the vastly experienced John Toshack and his Khazar Lankaran side in the semi-finals of the Azerbaijani cup, but slipped to a narrow 2-1 defeat on aggregate despite winning the first leg. It was a result that proved difficult to take considering the Swede had defeated the same team 2-0 in his very first match in charge back in November. The former Real Madrid, Wales and Swansea manager gave his best wishes to the young upstart after the game but Huseynzade admitted that the defeat was his lowest moment as manager so far. ‘Many people tell me that it was a very good first season for me but I don’t agree’ said the 22-year-old. ‘I was expecting us to play in the Europa League and we were really close. We played in the semi-final of the cup. We won the first game 1-0 but we eventually lost against John Toshack’s team 2-0 in the second game. ‘We had a better team, we had much better players and we had three times as many chances as they had but they made their chances count. High moments for the manager included the quarter-final cup win against Inter Baku, a tie that featured a superb back heeled goal from Baku’s Shahriyar Aliyev which went viral over the internet. 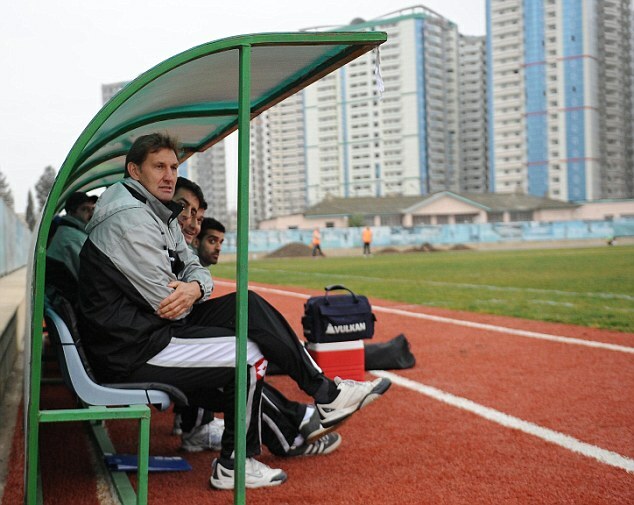 Huseynzade’s approach to management, which is based on making the players feel at their best, managed to lift them off the bottom of the table. But after sneaking a top six spot before the league split into two late in the season, he couldn’t bridge the gap to third. Baku finished 16 points off a European spot after suffering a late season slump following the semi-final defeat. It’s not just tactics that the Swede is adept at tough, with his transfer market judgement also showing promise – thanks to Football Manager of course. ‘I have made a couple of transfers in the winter break,’ Huseynzade said. ‘One was particularly through someone on the game. We needed a striker I opened the game and looked around for the players in the Romanian league where I found Marius Pena. ‘It was actually a big success, he scored six goals from his first seven games. Normally when a player comes into the team they need time to adapt, especially for a country like Azerbaijan which is far away from Europe. It’s very far away from the European mentality and the traditions and stuff. To get Europa League football in three years was Huseynzade’s original target and naturally the goal hasn’t changed. Pleasingly he doesn’t at all seem fazed by the job at hand. The real world management hasn’t put him off in the slightest and if anything he is growing in confidence as he progresses. In fact he is already looking towards his future, hoping to move away from the continental approach to management and taking a more ‘British’ style hands on role. The Swede added: ‘I work 24/7, I only live at the base, and sometimes people do not like it when their work takes over their personal life but I enjoy it. ‘I need this and I need to focus all my time to get better and better so I will probably get the benefit of it later in my life. I’m developing my personality together with the club and I’m developing as a person too. ‘I would like to understand my job a lot better than I do now. Second of all I would like to be a manager of Baku when they get to a European group stage and be a British style of manager when you are both the coach and the manager. 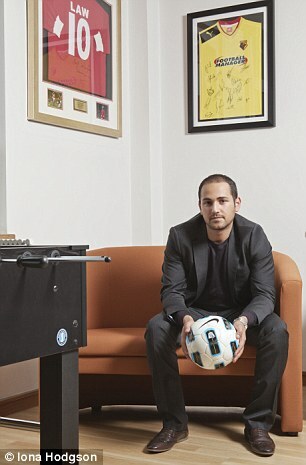 So does he still get time to play Football Manager – a past time he used to do everyday? ‘I’ve always been good at it since playing Championship Manager 4. I feel like I have it in my blood. I still play it although obviously I have much less time these days. Huseynzade is definitely one reason why we should keep an eye on the football in Azerbaijan next term. In the mean time I may just prepare my management CV for Shrewsbury Town in preparation for a time when Graham Turner eventually moves on.